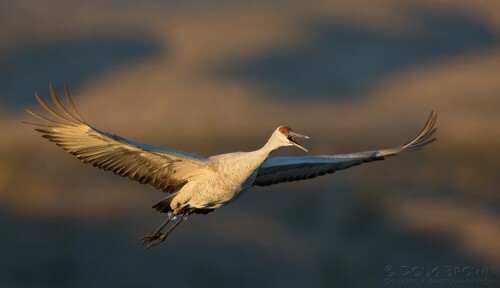 The HAI Flier – Our Monthly Online Newsletter /Hawks Aloft Inc.
Sandhill Crane in Flight. Image by Doug Brown. Sandhill Cranes will be returning to the Middle Rio Grande Valley any day now. Did you know that the Rio Grande and the adjacent bosque have become de facto refugia for these magnificent birds because no hunting is allowed within the urban areas. Read about this issue and more in the October issue of the HAI Flier. It is your way to keep in touch with all of the studies and education programs of Hawks Aloft, and membership activities too.